The PSD neutron diffractometer is dedicated to atomic structure investigations of amorphous materials, liquids and crystalline materials with moderate resolution requirements. PSD is a 2-axis diffractometer equipped with a linear position-sensitive detector system. The detector assembly is mounted on the diffractometer arm and it spans a scattering angle range of 25° at a given detector position. The entire diffraction spectrum can be measured in five steps. Sváb, E., Mészáros, G., & Deák, F. (1996). 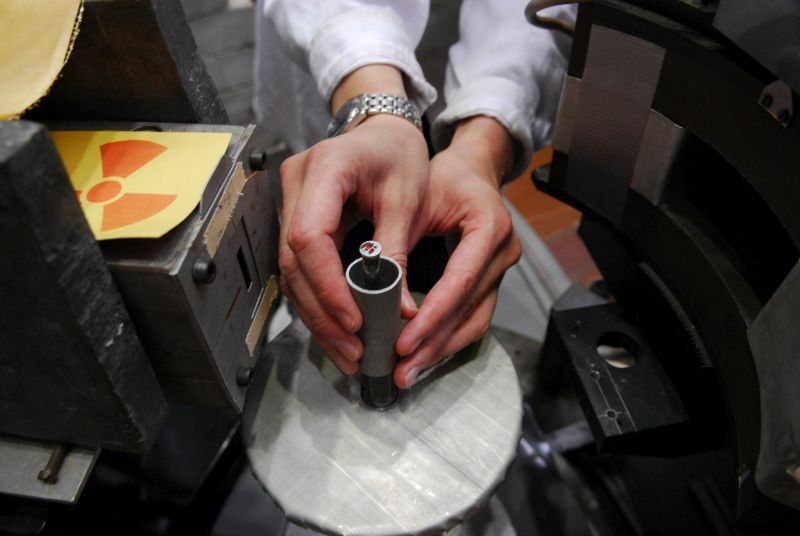 Neutron powder diffractometer at the Budapest research reactor. Materials Science Forum, 228-231(PART 1), 247-252. An detector system of PSD and its digital electronics was made in Studsvik NFL (Sweden). The detector system is based on three 3He-filled linear position sensitive Reuter-Stokes detectors (610 mm in length, 25 mm in diameter). 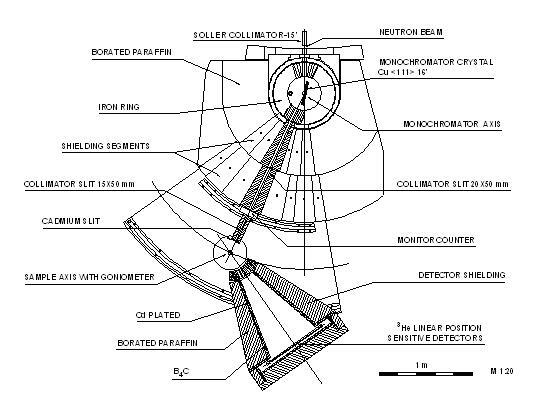 The three detectors are placed above each other within the scattering plane. The dedicated electronics serves for electronic motion control and data transfer between the diffractometer and the computer. 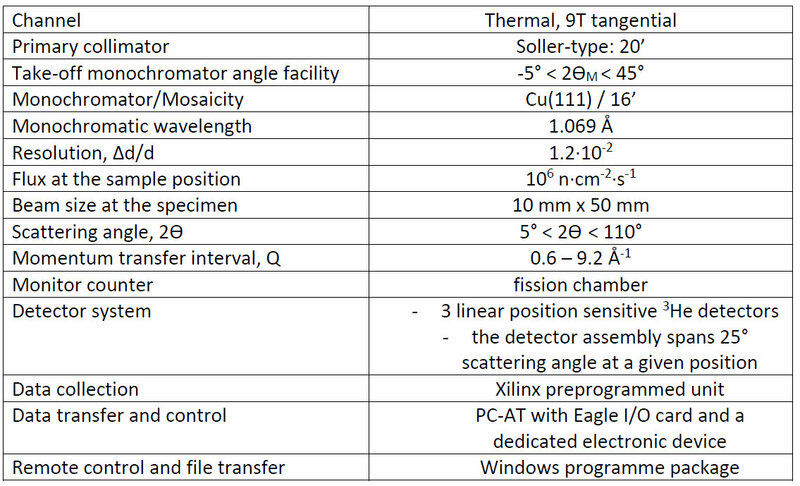 A high temperature in-situ cell (for 20 to 900°C) is available at the PSD diffractometer. Table 1. Characteristic features of the PSD neutron diffractometer for two actual arrangements.